There’s a lot of pressure on any bride to look radiant on her wedding day. 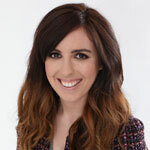 But there’s even more pressure on the Beauty Editor of a weekly woman’s magazine, who has access to a myriad of beauty experts and a cupboard brimming with dream creams, make-up must-haves and hair saviours (first world problems, eh!). So I’d like to share with you some of the secret weapons in my bridal beauty arsenal. It’s my job (lucky me) to try the latest lotions and potions but I have rebelled against my natural instinct as a voracious Beauty Ed and remained loyal to a few skin favourites for the last few months in the hope of perfecting my blemish-prone, open-pored complexion. Every morning I’ve been using the YSL Forever Light Creator Cosmetic Water, £35, followed by the matching Serum, £61. The range claims to reduce pigmentation and even out skintone and my face has definitely looked brighter in the last few weeks. My pre-bed routine looks at tackling my open pores – I start with L’Oreal’s new Skin Perfection Advanced Correcting Serum, £16.99, then add an indulgent dose of Liz Earle Superskin Concentrate Rollerball, £20. 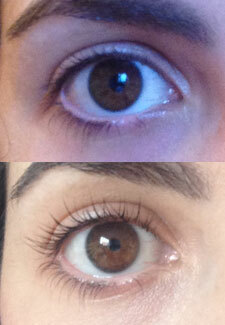 In preparation for the big day, I have had the LVL lash treatment, from £45 – check out the before and after pictures. I’m fortunate to have long lashes – what’s unfortunate is that they are poker straight. Rather than traditional perming, which can actually make lashes look shorter with the curve, this treatment works by lifting and straightening for maximum flutter that lasts up to 6 weeks. It really is worth the splurge ladies. I haven’t even had to wear mascara this week, which bodes well for the Big Day when I will no doubt be blubbing my way down the aisle. The day before the wedding, I’ll be mummified with the Universal Contour Wrap, from £75. During the treatment your whole body is wrapped tightly in clay-soaked bandages, which work to draw out toxins and leave skin toned and taught-looking. I had this treatment before my summer holiday and lost a total of 6 inches from all over my body. No gym pass required! Scent plays a big part on a wedding day. Many modern brides are creating their own customised blends and I can understand why. Every time you wear your fragrance again, you’ll be flooded with beautiful memories. I’ve decided to forego this emerging trend though in favour of Chanel Coco Mademoiselle, £47.50. Not only is it my favourite perfume, it’s the fragrance I wore 10 years ago when I met my husband-to-be. So you see, it seems only right that a decade on, almost to the day, that I wear that same scent – teamed with the matching Moisturising Body Lotion, £36.50, of course!